We have something for everyone and it’s built to last. With 85 mph wind loads and 32 psf for snow as a standard, we can help any gardener in any climate. Do you want to expand your garden, grow your own food, or build a nature classroom for your school? Anything is possible and everything can be modified to suit your needs. Why choose BC Greenhouse Builders? Our greenhouses are designed to handle 85mph winds and 32 psf snow loads and are typically 30-50% heavier than our competition. We can upgrade to 140mph winds and 100psf for snow! We’ve learned what works and what doesn’t. That means you get a greenhouse that won’t fall down. This is what we do best. If you need the greenhouse altered in any way, we can do it. Our lifetime greenhouse warranty is one of the best in the business because we stand behind it. Teaching greenhouses are becoming one of the fastest growing trends in our industry. Rated for high winds and snow and fully adaptable, they are a great fit for any level of learning. Not enough yard space or sun exposure? Choose a rooftop greenhouse and grow with us! 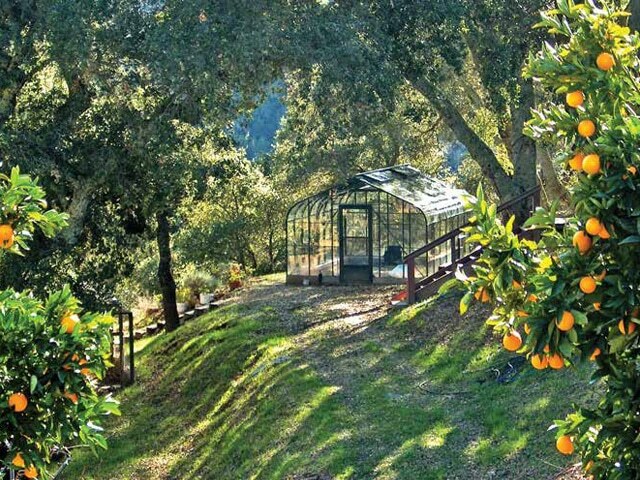 Greenhouses for senior’s homes or long term care facilities are a great way to get back to nature and enjoy the therapeutic benefits of gardening. Are greenhouse bugs bugging you? Success in the Greenhouse is Simple The doorbell rings and the Purolator truck pulls away as I open the door….